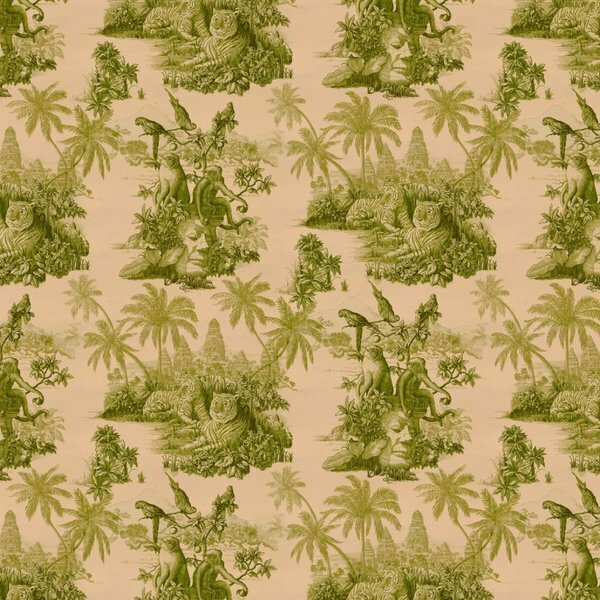 Anthropomorphized animals dressed up in finery are depicted in this iconic print. A hookah-smoking sloth, a frog in a bowler hat, a fanning otter and an imbibing badger, amongst others, allude to at least a few of the seven deadly sins. Originally oil-painted onto wood to assimilate a hand-painted interior finish, Hackney Empire combines a rich palette of midnight blue with highlights of jewel tones, from ochre to grenadine for a decadent and mesmerizing effect. Available across both the fashion and interiors collections. Single roll comprising of 4 x 3m lengths, each 45cm wide. Wall coverage per roll is 5.4 m2.